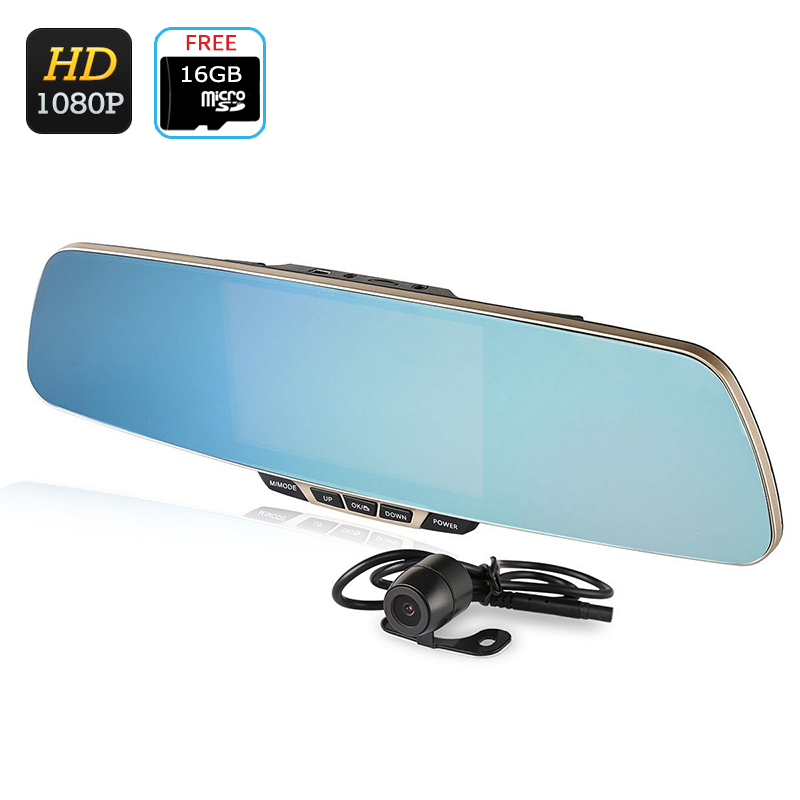 Successfully Added ZeroEdge Z2 Car DVR - 1080P, Large Rear View Mirror, 5 Inch Screen, 120 Degree Angle, G-Sensor, Rear Camera to your Shopping Cart. Make sure you always have video proof of what went down on the road with the ZeroEdge Z2 Dual Lens Car DVR. Record footage of the beautiful scenery or get irrefutable evidence in the unfortunate case of a traffic accident - with the compact and practical dual lens card DVR, you will have all the video content you need. A necessary accessory for any vehicle, a car DVR can come in handy in a great number of situations. You may be a fan of landscape road trips and want to keep more than your own memories of the trip. On the less fun side, you may want to have evidence of what happened on the road - especially if your vehicle was involved. In other cases, you may simply want to have an extra set of eyes when parking or backing up. With the ZeroEdge Z2 Car DVR, you will always have your footage in great full HD. What’s more, thanks to the 120 degree angle, you are sure to get a better view of the road at any time. You can review and preview the footage on a nice 5 inch display and save it on the 16GB SD card that comes free with this DVR. Using the dashcam is a piece of cake. With just a few buttons at the bottom, you will be able to record video and audio, take pictures, switch between two camera views, as well as adjust brightness, white balance and more. The review camera will help with parallel parking and can be wired to automatically appear on the screen when you put the vehicle in reverse. The ZeroEdge Z2 Dual Lens Car DVR comes with a 12 months warranty. Brought to you by the leader in electronic devices as well as wholesale car DVRs..